* Islamic State's DABIQ magazine (RLPB 369), the latest issue of which targets Christians and Christianity. Titled 'Break the Cross', the magazine is sure to fuel anti-Christian hostility in would-be jihadists. * SYRIA (RLPB 370), where al-Qaeda-led Jaysh el-Fatah broke through government lines and declared its intent to take the jihad into government-controlled western Aleppo. This is home to more than a million loyalist Syrians -- i.e. non-Islamist Sunnis, Alawites and some 40,000 mostly Armenian and Assyrian remnant Christians. struck her home in western Aleppo. * SYRIA (RLPB 371), where, despite rebel shelling [striking children and church property] and al-Qaeda-led Jaysh el-Fatah being at the gate, the churches of western Aleppo continue to minster to hungry and displaced Muslims and Christians. UPDATE: On Friday 26 August US Secretary of State, John Kerry, and his Russian counterpart, Sergei Lavrov, met in Geneva for nearly ten hours of talks on the Syria crisis. Russia wants America to convince US-backed 'rebels' to separate themselves from al-Qaeda affiliates so that al-Qaeda jihadists can be targeted without hitting US-backed 'rebels'. The US, however, has not been able to do this, and this is hampering US anti-terror efforts and preventing co-operation with Russia in the battle against al-Qaeda. On Monday 29 August Russian foreign ministry spokeswoman, Maria Zakharova, lashed out against the rebels who are preventing UN-funded aid convoys from delivering food into rebel-held eastern Aleppo. The rebels, who know how to fight asymmetrically, want their human shields starving and pitiful for propaganda purposes. Also on 29 August Islamic State confirmed that its spokesman and chief propagandist, Abu Mohammed al-Adnani (39), has been killed in Aleppo. Al-Adnani was the US' second most-wanted IS figure after al-Baghdadi. May the Lord intervene in Aleppo to 'frustrate the way of the wicked' (Psalm 146:9 NIV). * PRISONERS (RLPB 372): in Algeria, where a Christian has been sentenced to five years in prison for 'blasphemy'; Iran, where numerous Christians are in prison because of their Christian witness; and Sudan, where four believers -- two Nuba pastors, one Darfuri convert and a foreign (Czech) film-maker -- are facing national security charges that carry the death penalty. Middle East Concern (MEC) reports that on Friday 26 August five believers were arrested as their families picnicked together in Firuzkuh north of Tehran. At around 1:30pm, officers from the Ministry of Intelligence and Security (MOIS) raided the picnic and took the men into detention. The whereabouts of Ramiel Bet Tamraz, Amin Nader Afshar, Hadi Askary, Mohamad Dehnay and Amir Sina Dashti remains unknown. Ramiel Bet Tamra is the son of Assyrian Pastor Victor Bet Tamraz. 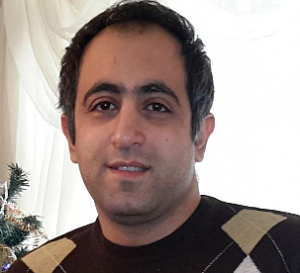 Pastor Victor and Amin Nader Afshar were arrested over Christmas in December 2014 and released on bail in early 2015 pending trial. There are grave concerns that the 26 August arrests are part of a MOIS campaign to compile 'evidence' against Pastor Victor ahead of the trial. Morning Star News notes that 37 Christians were arrested during August alone. The spiritual battle is intensive. Please pray. 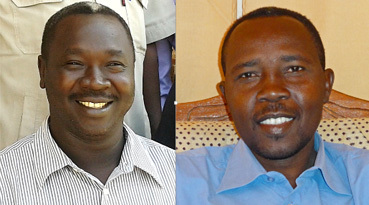 As World Watch Monitor reports, the trial of the two Nuba pastors, one Darfuri convert and a Czech film-maker resumed on 29 August. 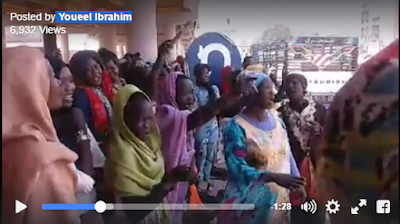 The men stand accused of capital crimes associated with what the prosecution refers to as the 'fabrication' of 'false' stories of Christian persecution and Nuba genocide. Western diplomats and representatives of foreign aid groups attended the hearing. Please pray. Long-time intercessors will be familiar with the case of Mohamed Hegazy (34). In 2007, Hegazy became the first Muslim-born Egyptian to sue the Interior Ministry for his right to change his religion from Islam to Christianity. The court ruled against him, affirming the Sharia principle that apostasy is impermissible. His family vowed to kill him. With his wife and child safe overseas, Hegazy changed his name to Bishoy Armia and in 2011 began working as a freelance writer, reporting on the violent persecution of Coptic Christians in Upper Egypt. In December 2013, Hegazy was arrested and held for 15 days [RLPB 240 (10 Dec 2013)]. Re-arrested in June 2014, he was sentenced to five years in prison on charges of inciting sectarian strife and spreading 'misinformation' [RLPB 266 (25 June 2014)]. 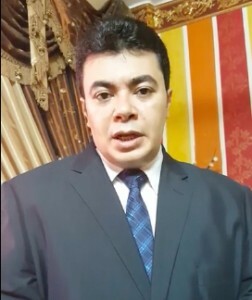 As reported in RLPB 312 (2 June 2015), Hegazy has suffered much in prison, including routine beatings and intense pressure. screenshot of Hegazi (29 July). On 23 July 2016 Mohamed Hegazy was released from prison. On Saturday 30 July footage appeared on YouTube showing his conversion to Islam. 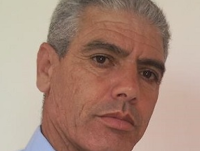 Recorded on Friday 29 July, it shows Hegazy reciting the Shahadah (the Islamic statement of faith), apologising to his Muslim family and declaring that he would never again speak to the media. Human rights and religious liberty advocates fear Hegazy has succumbed to extreme pressure. His lawyer, Karam Ghobria, believes Hegazy's 'conversion' is the act of 'a terrified and broken man'. Hegazi has been released into the custody of his parents who had previously vowed to kill him. Please pray for Mohamed Hegazy. compound after the failed attack. 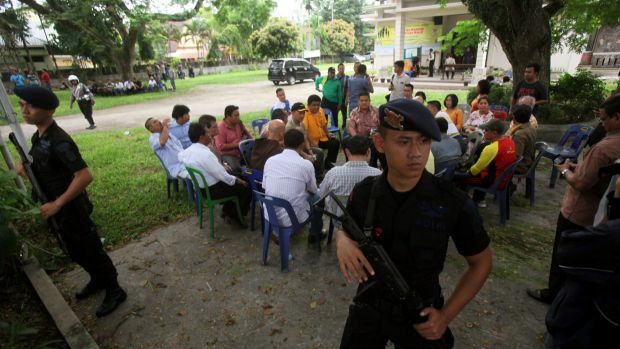 On Sunday 28 August a teenage would-be terrorist launched a failed attack on a Catholic priest as he celebrated the Mass in St Yoseph's Catholic Church in Medan, North Sumatra. When his home-made bomb detonated but failed to explode, Ivan Armadi Hasugian (18) rushed at Rev Albertus Pandiangan (60) with a knife and an axe. Parishioners wrestled the attacker to the ground and the priest suffered only minor injuries. Hasugian claimed to be inspired by Islamic State propaganda (no doubt including DABIQ magazine) and by the 26 July attack in France [RLPB 368 (27 July)] in which two Muslim youths slaughtered a Catholic priest as he celebrated the Mass. Pakistan's highest court has announced that it will hear the appeal against Asia Bibi's death sentence for blasphemy during the second week of October. 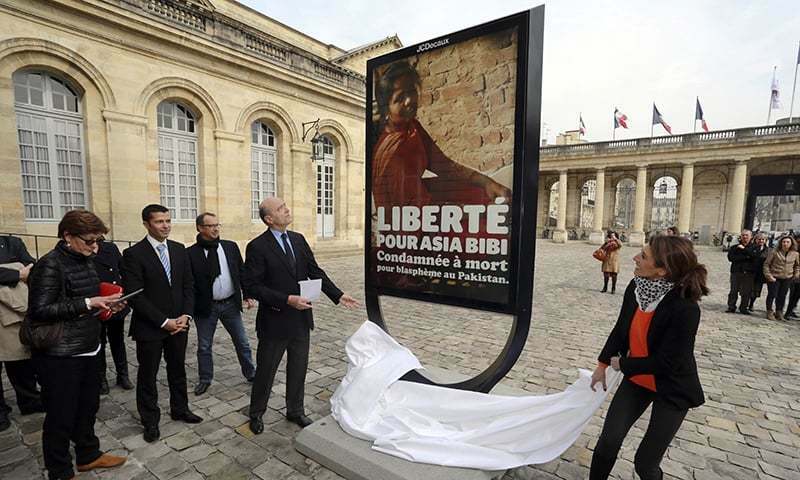 It is reasonable to expect that, as in the past, this news will trigger Islamic protests, sit-ins and calls for Asia Bibi's death. It may also trigger anger and mob violence against Pakistan's vulnerable Christian communities. 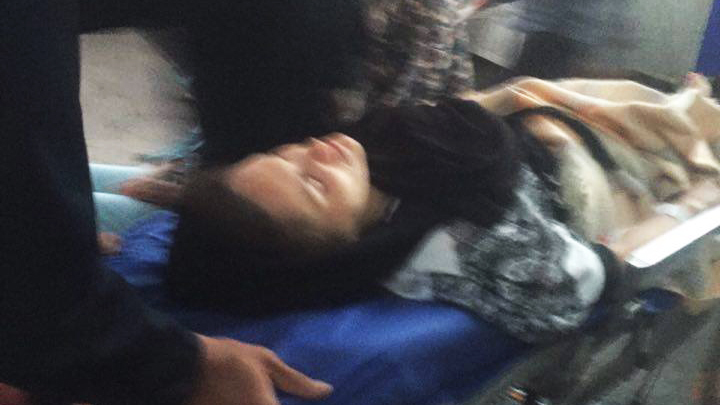 As the appeal hearing draws closer, the threat to Asia's life will escalate. If acquitted, Asia and her family will need high level security immediately, as well as sanctuary in a safe country, if they are to be spared vigilante extra-judicial killing. The Church must be praying for this whole process, and the West must take a stand for religious liberty and Christian security. Bordeaux, France, March 2015: Mayor Alain Juppe takes a stand. On 7 July Russia's President Vladimir Putin signed into law a controversial 'anti-terror' package which includes anti-mission measures that eviscerate religious freedom [RLPB 365 (8 July 2016)]. Five cases came before the courts during August. A Hare Krishna devotee was acquitted. Of four Protestants to be charged (two of whom are foreigners), three have been fined and one was due in court on 29 August. Furthermore, a case was launched on 22 August against the director of an Adventist church who stands accused of illegal evangelism for sending Christian literature to the leadership of the district administration. [See Forum 18 for details.] Pray that the anti-mission measures will be either radically amended or repealed. The UK Supreme Court has ruled in the case of The Christian Institute and others v The Lord Advocate (Scotland). The case concerns Scotland's highly controversial and unacceptably intrusive Named Person scheme [see RLPB 246 (10 June 2014)]. On Thursday 28 July the five judges of the Supreme Court ruled unanimously that the Scottish government's Named Person scheme, as it stands, is unlawful. There can be no appeal. The scheme would have seen every child in Scotland under the age of 18 assigned a state guardian to monitor their 'well-being'. Christian Institute director Colin Hart praised the ruling as a win for families. However, the Scottish government remains 'firmly committed' to the scheme while reluctantly acknowledging it would have to be optional rather than mandatory. Praise God! President of the International Committee of the Red Cross (ICRC), Peter Maurer, has said concerning the Battle for Aleppo: 'This is beyond doubt, one of the most devastating urban conflicts in modern times.' Around 250,000 people remain trapped in Aleppo's rebel-held east. Russian Defence Minister Sergei Shoigu describes them as 'hostages', unable to flee because the rebels have mined the humanitarian corridors and manned them with snipers. Meanwhile, more than a million citizens -- including some 40,000 mostly Assyrian and Armenian Christians -- remain in Aleppo's government-held west. Having broken through the government siege of rebel-held eastern Aleppo [see RLPB 370 (10 Aug)], the al-Qaeda-led Jaysh al-Fatah will doubtless exploit its success to attract more jihadists into its camp, including many displaced Islamic State (IS) fighters. These al-Qaeda-led jihadists (95 percent of whom are foreign: including Chechens, Uzbeks, Saudis, Chinese Uyhgurs etc) are now engaged in a full-scale offensive aimed at capturing western Aleppo. Having failed to breach the government's lines using remote-controlled vehicle-borne improvised explosive devices, we can expect that suicide bombers will be next. Meanwhile, they are endlessly shelling civilian districts. A humanitarian crisis is deepening in western Aleppo, although the Western media seem to have little interest in the plight of loyalist Syrians. Electricity is limited and, due to recent fighting, the flow of water and the main supply line have been cut, meaning water, food, fuel and medicines are scarce. Furthermore, unlike the Syrian nationalist Alawite-dominated military, the Iranian, Lebanese and Iraqi Shi'ite militias pouring into Aleppo are purely sectarian and interested only in geostrategic outcomes. 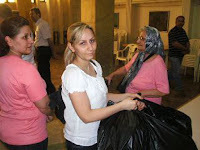 Despite the dire situation, western Aleppo's churches continue to serve and minister. 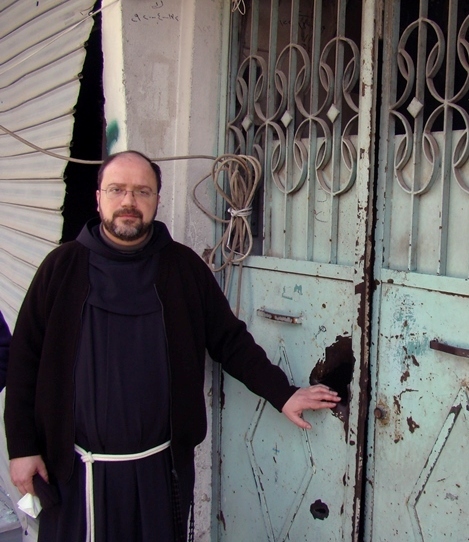 The deputy director of the public assistance department at Aleppo's Orthodox Sunday schools, Samir Samaan, reports that Aleppo's Saint Elias Cathedral is caring for some 4000 newly displaced families -- half of them Muslim, half of them Christian. Similarly, Jesuit priest Fr Ziad Hilal said the churches are working to feed those left in Aleppo, regardless of their religion. 'We have a big kitchen, this kitchen was sponsored by ACN [Catholic charity, Aid to the Church in Need] and other associations, and a lot of people come -- we give about 7500 meals every day. It is a lot, and the team is a Muslim and Christian team, and a lot of the people who benefit from these meals are Muslims. [So] on one side things are dark, things are sad -- on the other hand we see the activities of the Church there and how the people, especially the Christian associations, are helping. These provide a sign of hope. Our mission is important there.' 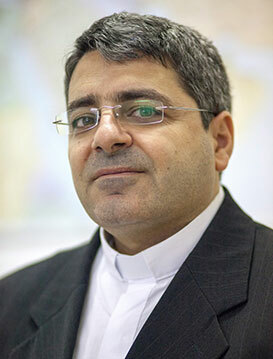 Father Ibrahim describes it as 'a miracle', noting that all the while, Christians in Aleppo are fasting and praying that 'the will for peace' will prevail 'over the will for war'. Meanwhile, Russia is working on the diplomatic front to leverage co-operation from Turkey. Facing economic and political challenges at home, Turkey's President Erdogan may well decide that clamping down on the Turkish border (often referred to as the jihadi highway) might be worthwhile in exchange for Russia ending sanctions and resurrecting Turkstream, a new gas pipeline from Russia to Turkey. If Russia can bring about a shift in Turkish policy, it would be a game-changer, for the jihadists in northern Syria simply could not survive without Turkish support. Meanwhile, Russia and the USA are also moving closer to an agreement on co-operating to end the Battle for Aleppo. The US will however have difficulty convincing their US-backed 'good rebel' proxies to disengage from the successful al-Qaeda-linked jihadists. In reality, that is unlikely to happen, leaving the US in a compromised position, having to choose between protecting their 'rebel' proxies or the Christians those 'rebels' intend to slaughter. Meanwhile, the imperilled Christians of western Aleppo cling to hope -- ministering and witnessing, fasting and praying -- as the enemy threatens at the gate. * Yahweh Sabaoth -- the Lord of hosts -- will intervene in Aleppo, to 'preserve all who love him' (Psalm 145:20 ESV) and 'frustrate the way of the wicked' (Psalm 146:9 NIV). * the Spirit of God will subvert the 'rebellion' so that the 'will for peace' will indeed prevail over 'the will for war'. * Jehovah jireh, the Lord our provider, will keep Aleppo's churches well supplied with all the funds, resources and workers they need to continue serving and ministering as lights in the darkness. An al-Qaeda-led jihadist coalition has launched a campaign to capture the government-held western Aleppo, home to over a million loyalists, including some 40,000 Christians. The humanitarian situation is deteriorating: electricity is limited, and the main water supply line has been cut, so that water, food, fuel and medicines are all scarce. Despite this dire situation, churches in government-held western Aleppo continue to serve, taking in thousands of newly displaced Muslim and Christian families and distributing thousands of meals daily across the city. Meanwhile, Russia is working to leverage co-operation from Turkey. If successful, this will be a game-changer, as the jihadists in northern Syria could not survive without Turkish support. Syrian Christians are praying that 'the will for peace' prevails over 'the will for war'. Please pray for Syria and its churches. In 2012 Homs was a rebel stronghold. Its Christians and nominal or secular Muslims had either fled or been expelled. In June 2013 Syrian government and loyalist forces liberated the town of al-Qusayr, severing the rebels' supply-line into the city. The Syrian army also besieged the city, turning it into a 'pressure cooker', before opening humanitarian corridors and offering amnesty to 'moderate' Syrian fighters prepared to surrender to the government. At that point, there was little the Islamic jihadists based in Homs could do but watch their human shields melt away. By May 2014 Homs had been liberated. On 25 June 2016 the Syrian government launched the 'Castello Operation', the first phase of a campaign to liberate rebel-held eastern Aleppo using the same strategy. The war has turned Aleppo into a divided city. The west, where Aleppo's remnant 40,000 Christians live, is in government hands. The east meanwhile is held by the 'rebels', who are supplied via the Castello Road which runs through rebel-held territory north of the city en route to Turkey. Commencing 25 June Syrian forces advanced under Russian air cover, pressing toward the rebel supply-line from the north and from the south in a pincer manoeuvre. The fighting was furious. Not only was there much aerial bombardment close to Christian areas, but rebels fired rockets into Christian districts at a furious rate. On one day in mid-July, some 250 rebel rockets rained down on the mainly Christian quarter of government-held western Aleppo. 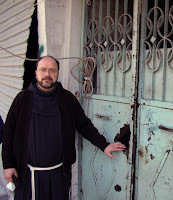 Speaking through the Catholic charity 'Aid to the Church in Need', Franciscan friar Father Ibrahim Alsabagh appealed for the West to close the border from Turkey to Syria, 'through which the weapons, food and fighters' pass to support the rebels who, he maintained, are anything but 'moderate'. On 26 July Syrian government and loyalist forces captured the Castello Road, severing the rebel supply-line. By 28 July rebel-held eastern Aleppo was besieged. On 28 July the Syrian government opened three humanitarian corridors, promising that four more would be opened very soon. Though dozens of families and fighters did leave, the rebels, not wanting to lose their human shields, convinced most to stay by declaring the humanitarian corridors to be a trap. The US too expressed concerns that the humanitarian corridors could actually be a ruse. On 31 July the rebels launched a counter-offensive in south-western Aleppo and by 6 August had broken through the siege. Western media is cheering loudly for what the Institute for the Study of War has described as 'a major victory for al-Qaeda in Syria'. The rebels are fighting with Jaysh al-Fatah (Army of Conquest), a coalition dominated by al-Qaeda's Syrian affiliate Jabhat al-Nusra (now known as Jabhat Fatah al-Sham) and Ahrar al-Sham (a Salafist outfit modelled on the Taliban). Because Jaysh al-Fatah also includes several much smaller militias, some of which are US-backed, Jaysh al-Fatah profits from US weapons and US protection. To quote the Russian President, the 'terrorists' might be 'rough and cruel people, but they're in no way primitive or silly'! On 7 August the Jaysh al-Fatah Operations Room released a statement declaring its intention to take the jihad into western Aleppo so as to capture the entire city. The battle for Aleppo is set to escalate. Iran is pouring in elite Shi'ite fighters who, like the Sunni jihadists, have no great love for Christians. Nor do the Shi'ites have much love for Alawites, who are often referred to as 'little Christians' because of all their many similarities -- in fact, the alliance is purely strategic. The weeks ahead could determine if Christians and Christianity will survive in Aleppo. * intervene in Aleppo, to 'frustrate the way of the wicked' (Psalm 146:9c NIV). * shield and preserve all his faithful ones for, as heaven knows, Syria is going to need them. * comfort and sustain Aleppo's gravely imperilled and deeply traumatised remnant Christians. By the power of the ever-present Holy Spirit, may they continue to walk by faith with their eyes fixed on Jesus (Hebrews 12:1-2) and may they experience the peace that comes from knowing they are in the sanctuary of the LORD. The battle for Aleppo is about to escalate. 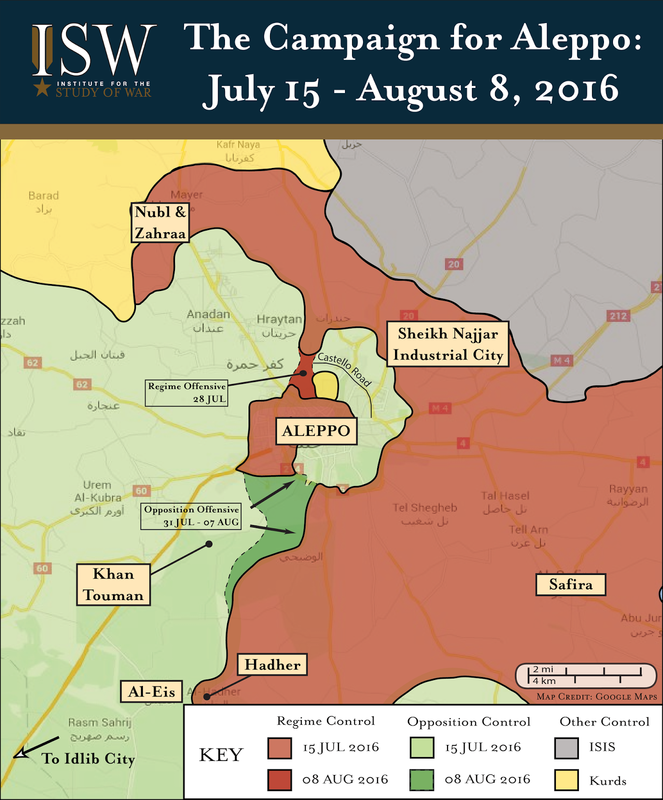 In late July Syrian government and loyalist forces severed the supply-line into rebel-held eastern Aleppo. They besieged the rebel stronghold while opening humanitarian corridors so that civilians and surrendering fighters might leave. With rebels calling the escape routes a trap, most chose to stay. On 31 July the rebels launched a counter-offensive in south-western Aleppo and by 6 August had broken through the siege. Western media are applauding what is actually a major victory for al Qaeda in Syria. The rebels are fighting with the al-Qaeda-led Jaysh al-Fatah and are threatening to take their jihad into government-held western Aleppo and to capture the whole city. This is home to some 40,000 remnant Christians. Please pray for God's intervention in Aleppo. A key factor behind the popularity of Islamic State's Abu Bakr al-Baghdadi (also known as Caliph Ibrahim) is that he champions a whole new narrative. Al-Qaeda has long fuelled its fighters on a narrative of victimhood. Baghdadi on the other hand, fuels his fighters on a narrative of strength and victory. While al-Qaeda offers its fighters the prospect of a long war against oppressors, Islamic State (IS) offers its fighters what Allah promised: success! IS regularly publishes a glossy propaganda magazine called DABIQ, the principal aim of which is to recruit jihadists from the West. It is sophisticated, slick, beautifully produced and printed in several languages, including English. The Clarion Project is one of several groups to maintain a DABIQ archive. In keeping with the IS narrative, DABIQ magazine is filled with images of Islamic success. Images of sunny idyllic gardens hosting frolicking Muslim children and handsome young jihadis in military fatigues petting fluffy kittens are juxtaposed with pictures of the 'enemy' -- usually Western political and military figures -- and graphic images of obscene violence: burning 'apostates', beheaded infidels, rotting corpses and scenes of carnage from the battlefield. The overall message is that true Muslims are not victims, they are winners! So, to quote the Islamic call to prayer, 'hasten to success'. By this means IS has recruited hundreds of thousands of global Muslims to its cause. Until now, DABIQ has always targeted Muslims and focused on politics (for Islam is primarily and inherently political). However, the latest issue published on 31 July, targets Christians and focuses on Christianity. First, it presents Allah as Creator and Islam (submission to Allah) as the natural religion of humanity. 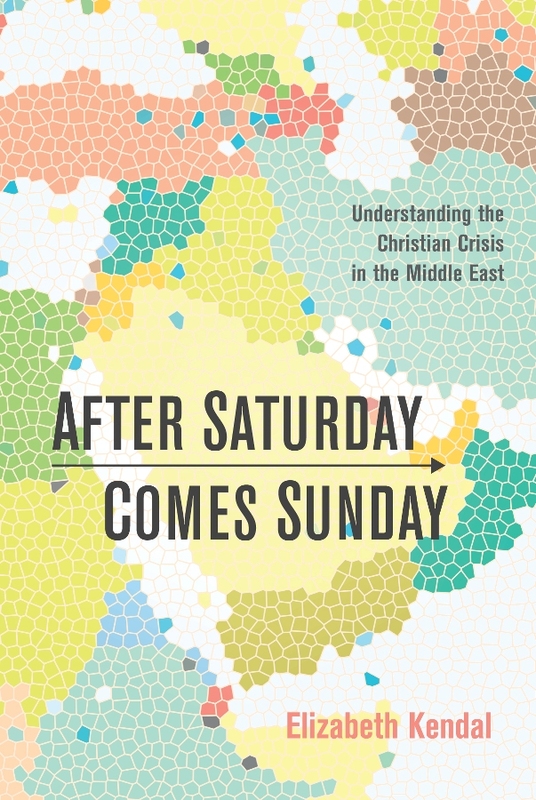 It then delves into a lengthy treatise on historic responses to Islam before asserting that the choice facing Christians remains the same: they can convert to Islam, surrender and accept subjugation and humiliation under Islam, or resist Islam and face war/jihad. It attacks Western civilisation, crediting its decline, not to a rejection of Christianity, but to Christianity itself which it decries as deviant, blasphemous and essentially pagan, incapable of discerning right from wrong. It also includes four articles by Muslim converts from Christianity, three of which are clearly aimed at drawing disillusioned nominal Christians and secular Westerners into Islam which, unlike Christianity, is presented as principled, pure and the path to peace. The final article entitled 'By The Sword' includes a shocking, extremely graphic image. It affirms that Islam is to be spread by means of the sword, by means of jihad, by means of fighting and that this is 'an obligation found in the Quran'. This issue of DABIQ, which also spends six glossy pages glorifying IS's global terrorist operations, can be expected to trigger an escalation in attacks on churches and Christians everywhere. * May evil be exposed, recognised as evil, and rejected. 'Beware of false prophets, who come to you in sheep's clothing but inwardly are ravenous wolves. You will recognise them by their fruits. Are grapes gathered from thornbushes, or figs from thistles? So, every healthy tree bears good fruit, but the diseased tree bears bad fruit. A healthy tree cannot bear bad fruit, nor can a diseased tree bear good fruit. Every tree that does not bear good fruit is cut down and thrown into the fire. Thus you will recognise them by their fruits.' (Matthew 7:15-20 ESV). * May the Church be revived and sanctified: flooded with faith, bolstered with boldness and infused with urgency for prayer and mission. 'I will build my church, and the gates of hell shall not prevail against it' (Matthew 16:18 ESV). Islamic State regularly publishes a glossy propaganda magazine called DABIQ, whose principal aim is to recruit jihadists from the West. It is sophisticated, beautifully produced and printed in several languages, including English. 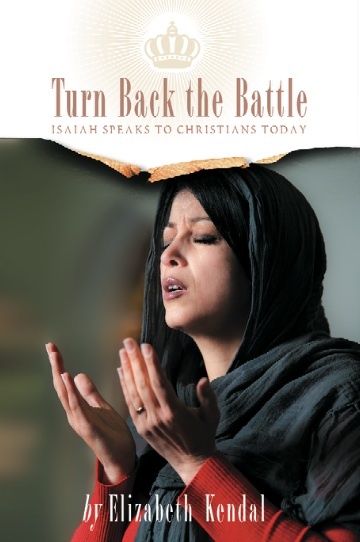 Previous issues have targeted Muslims and focused on politics, but the latest issue published on 31 July and entitled 'Break the Cross', targets Christians and focuses on Christianity. The Christian scriptures are denounced as corrupted, the Christian Church slandered as pagan and Christians identified as those to be hated and fought. 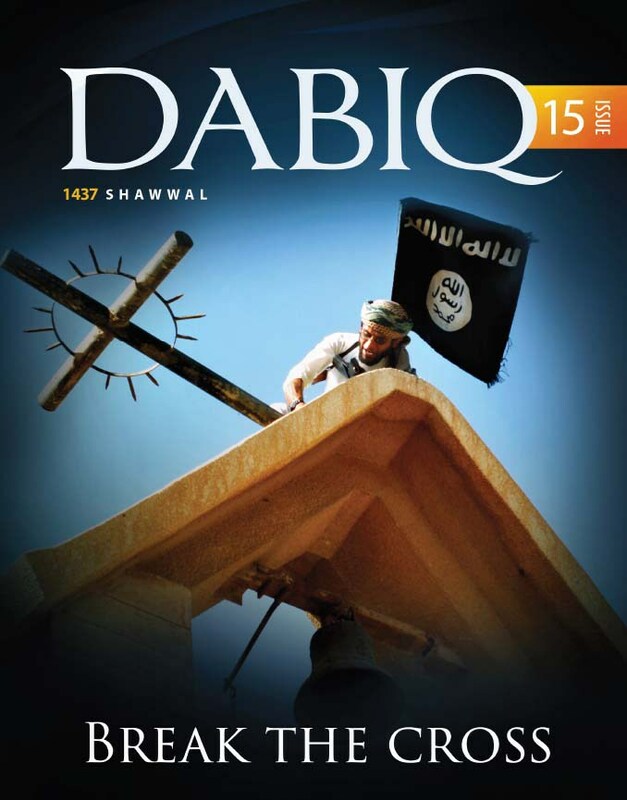 This issue of DABIQ can be expected to trigger an escalation in attacks on churches and Christians everywhere. Please pray that God will redeem this situation and use it for his purposes. May evil be exposed and rejected and may the Church be revived and sanctified.